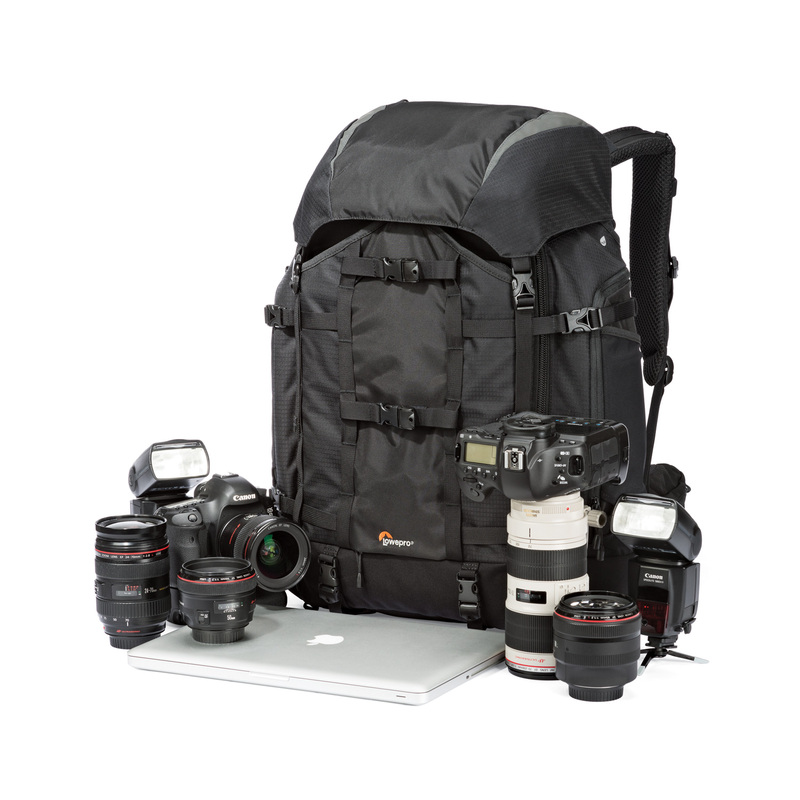 As part of Lowepro’s 50th Anniversary celebration, we hosted a sweepstakes to win a trip of a lifetime. 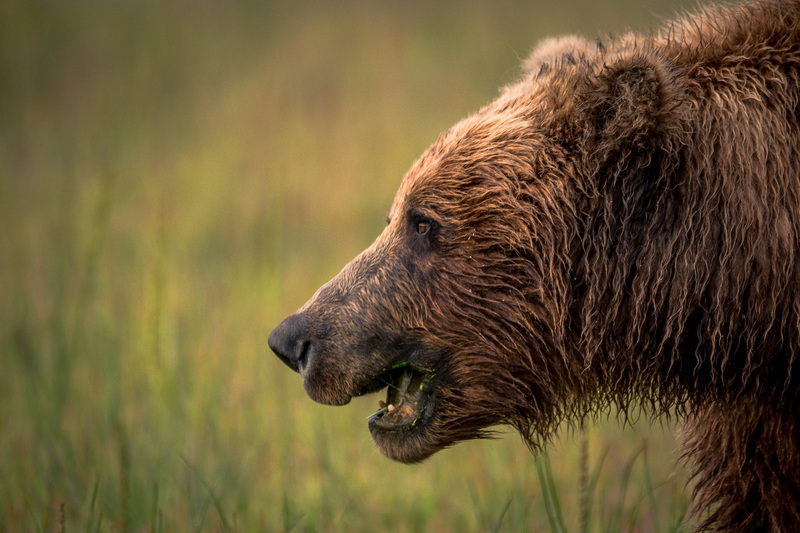 Our grand prize winner would join Loweprofessional Chris McLennan on an all expense paid photo adventure to Alaska to photograph grizzly bears. The lucky person who won this amazing sweepstakes is named Roger. It took Roger a couple of days to believe he had actually won the trip. Going to Alaska on a photography adventure such as this has been something Roger has always wanted to do, a bucket list item. Roger has always loved the outdoors and he credits his love of the outdoors to his father who passed away two months prior to him winning this trip. 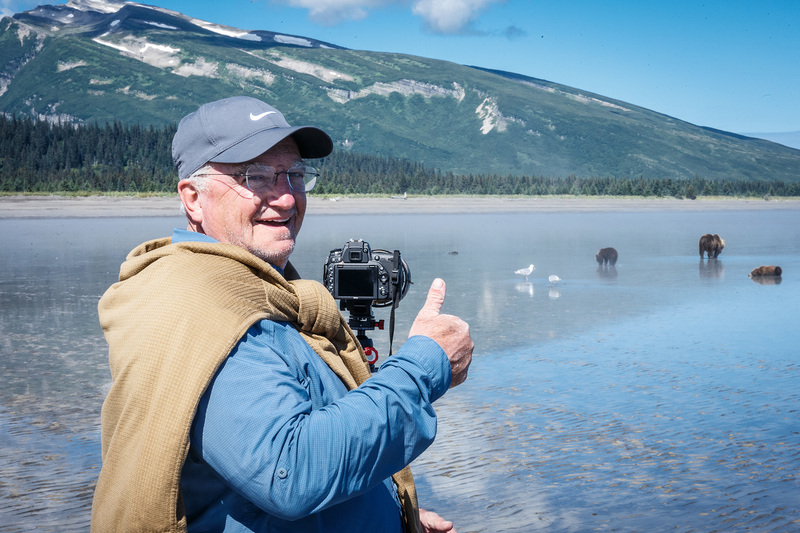 Roger traveled from Oklahoma to Alaska to spend 6 spectacular days at Silver Salmon Creek Lodge photographing grizzly bears. 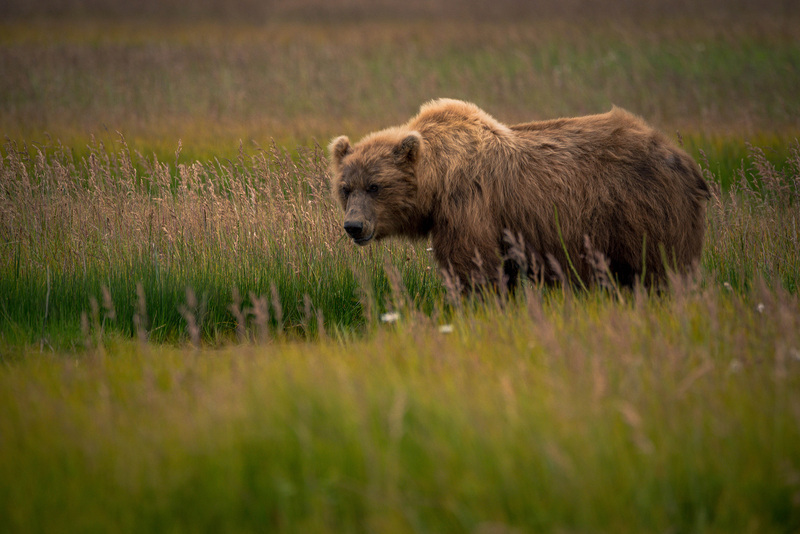 We caught up with Roger after the trip to find out just how amazing this photography adventure was! 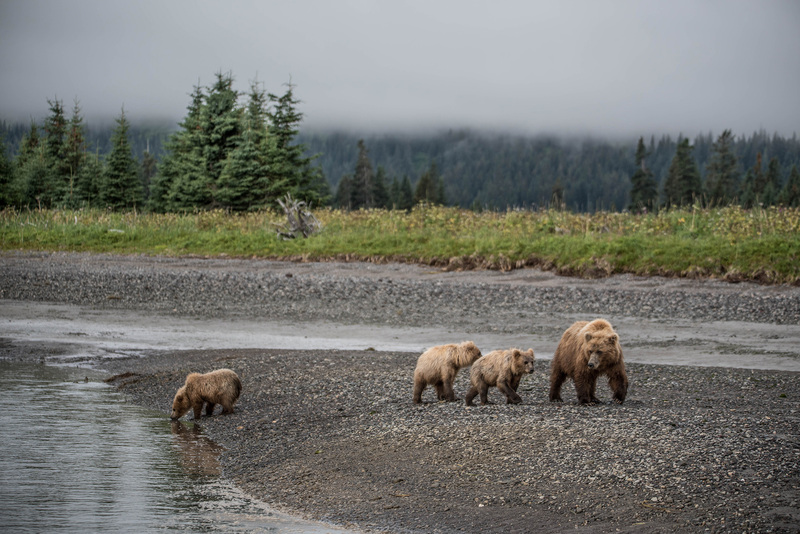 What was a typical day like for you while in Alaska? A typical day started at 6am. 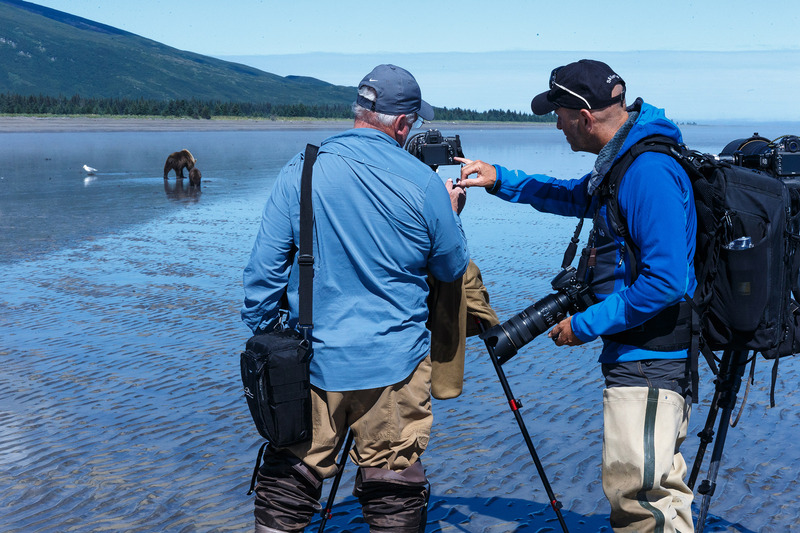 We would put on our waders and get ready to photograph the bears. We would come back at 8am and take off waders to go in to eat, then put waders back on and go to the cabin. Then we’d again take waders off to go inside the cabin and look at pictures. Then in 30 minutes put waders back on and head out till about 1pm. Then take waders off go in and eat, put waders back on to go over to look at pictures, take waders off to go in and look at pictures, put waders back on to head out to field. At 7pm we would come back to camp take waders off to go eat, put waders back on to go to cabin to look at pictures, take waders off to go into cabin. In about 30 minutes put waders back on to go out and shoot some more after about 2 hours come back and take waders off and look at pictures after around an hour find other boots and gather around the campfire. Those waders will probably be sitting for a while before I use them again. What were some things Chris was able to teach you? One of the first things Chris taught was to think a little outside the box. For example, we were walking along and it was getting slightly dark. 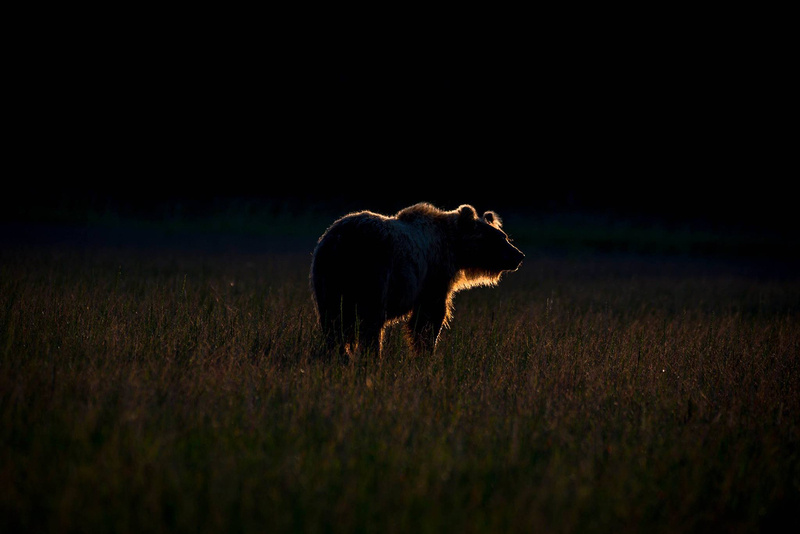 A bear wandered between us and the mountains as the sun was setting behind the mountains. I wouldn’t have taken the picture because of darkness, but Chris stopped the group and suggested trying to capture the slight glow of light from the sun that was around the bear. It turned out great! The other thing I will always remember was Chris telling us “just keep the eye in focus and everything else will fall into place”. Don’t limit yourself or your camera, no matter what kind it is, and go with the flow. It was raining one day but we went out and we still captured some great images. 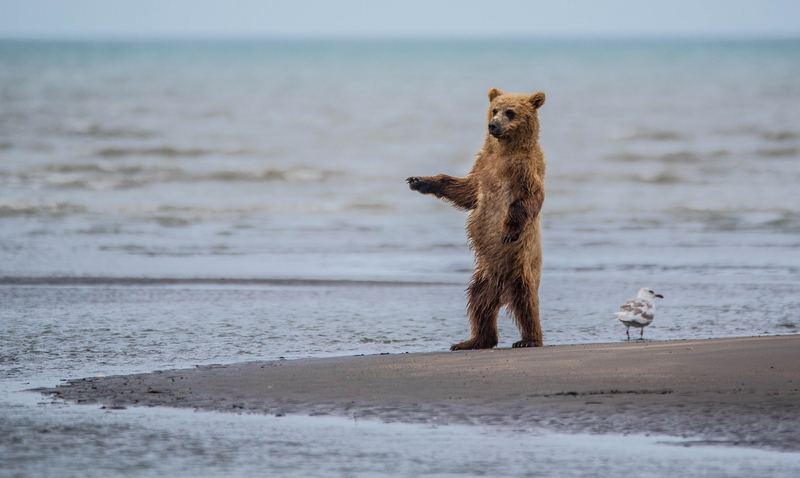 What did you learn about the bears? Being that close to such beautiful yet powerful creatures must have made your heart race. 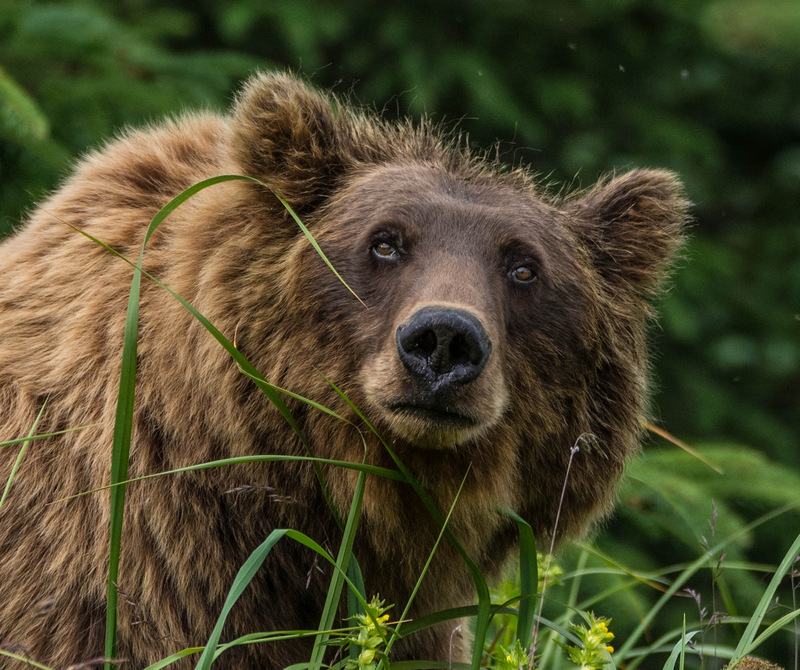 The bears won’t give you a second glance. I thought they would just be watching us while we were out there, but they just went along with whatever they were doing while we walked around and kept a safe distance from them. The only time I really was nervous was when we were out photographing a sow with two cubs. 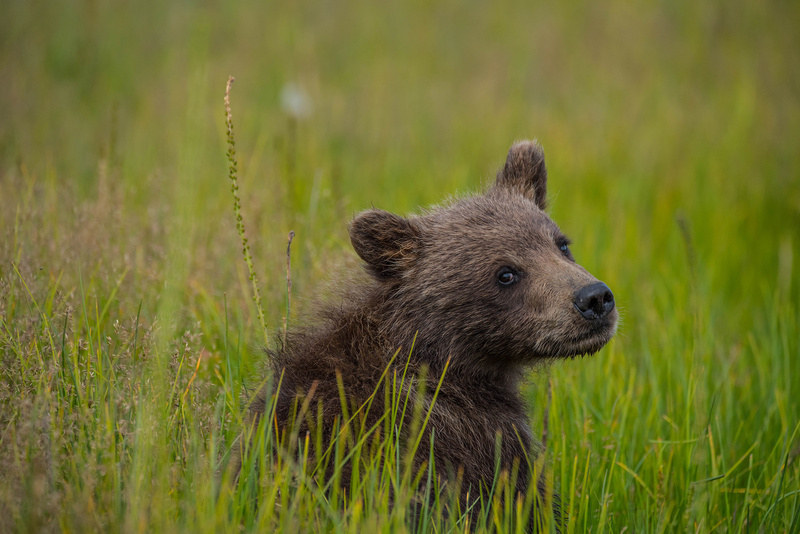 The cubs were young, born this season. One of them was grazing on grass and then walked on to a path that lead straight towards us. All I could think was, mom isn’t going to like this. The cub stopped about 6 feet from us, (it was probably really about 20 feet but at the time it seemed closer) looked up and all I could hear was a rapid fire of cameras. The cub then turned around and ambled back the way he came. How do you feel that you grew as a photographer? 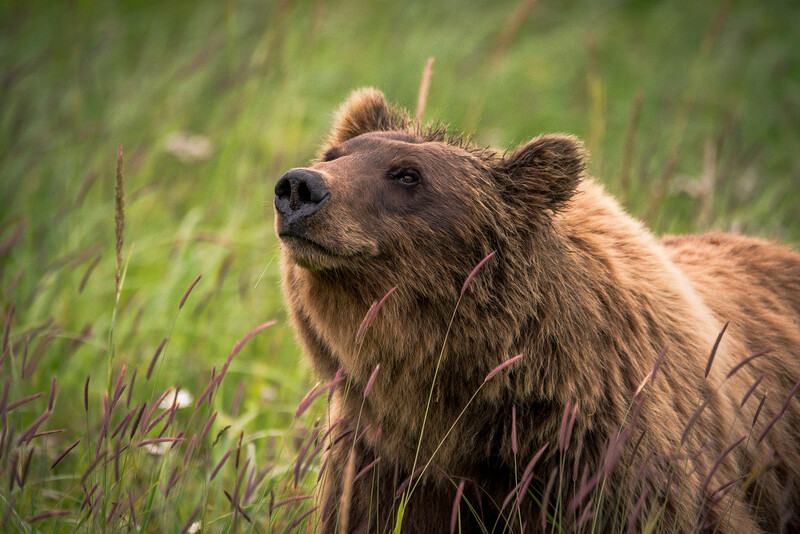 I know that I grew a lot as a photographer by just watching the bears and waiting for the right shot. My new motto is to take your time, relax, enjoy, and focus on the eye. Clearly that new motto paid off! 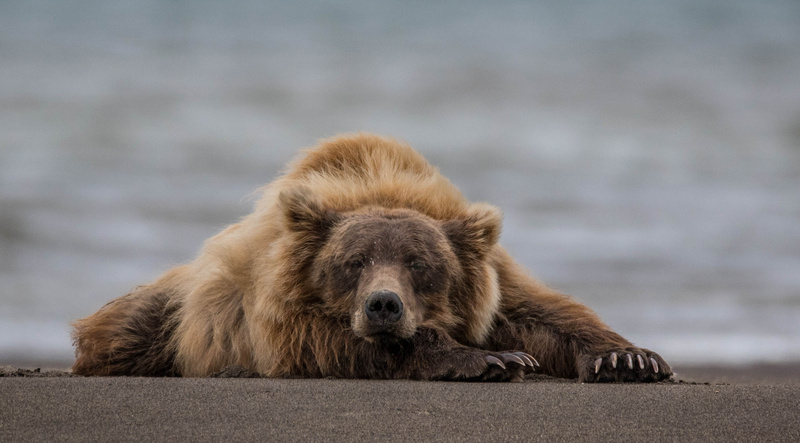 Recently, we learned that Roger entered the below image into the National Parks Trips Media photography contest. 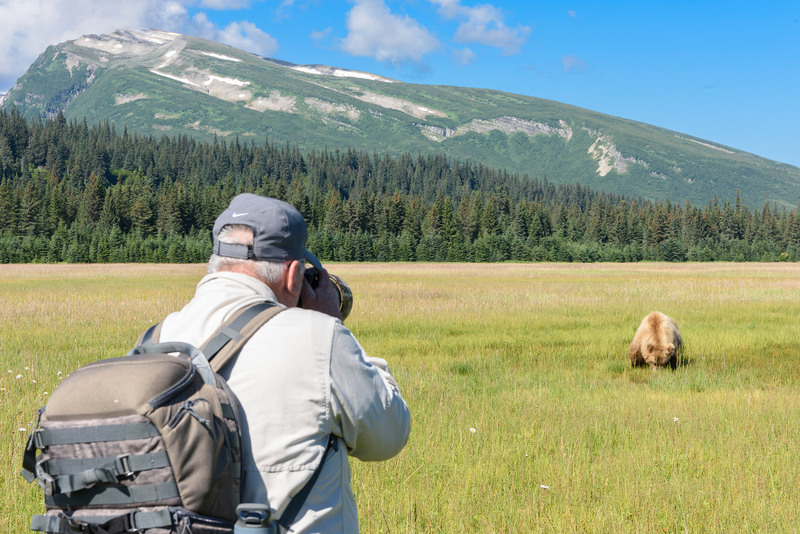 National Parks Trips Media had over 2,000 entries which were taken in over 20 National Parks. Roger won the grand prize in the category of wildlife. From myself and the rest of the Lowepro team a huge congratulations to Roger! Loweprofessional and photo tour leader Chris McLennan shared some words with us about having Roger on this very special photo tour. 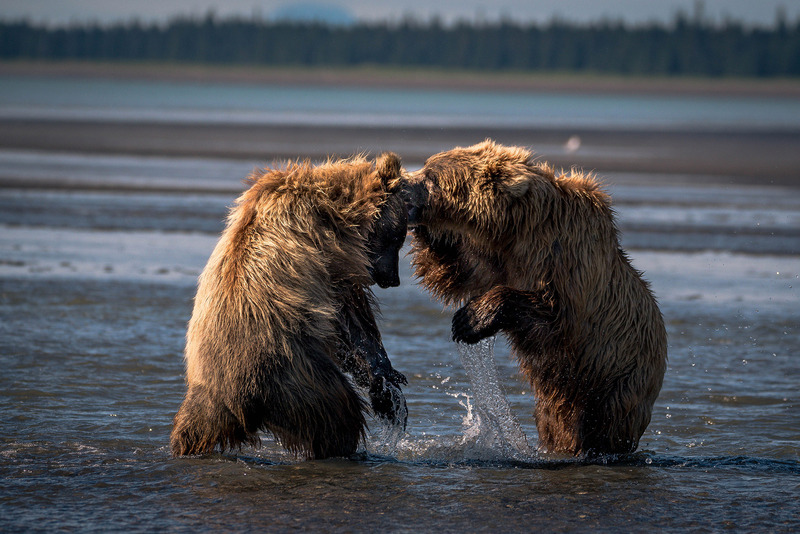 “Thanks Lowepro for running your competition and sending the winner with me to Alaska to photograph the amazing coastal brown bears. I was notified of the winner and learnt that it took two days before Roger actually believed that he won the trip – he stated that it was the first time in his life he had ever won anything and only totally believed it was real once I contacted him via social media. Roger arrived to Anchorage and joined up with our group and I have to say you couldn’t have asked for a better winner. A humble, friendly man with a permanent smile, a great sense of humor and a love for photography. 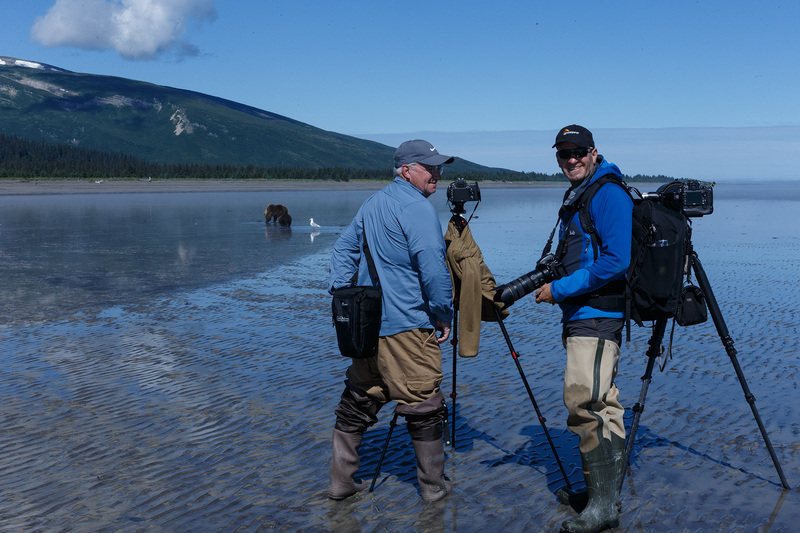 We had a fantastic week of wildlife encounters and Roger’s hunger to hone his photography skills and embrace everything about the environment and people around him was amazing. His skill level was already very high but to see his confidence in his ability grow whilst we explored new ways of exploring light and techniques was humbling. 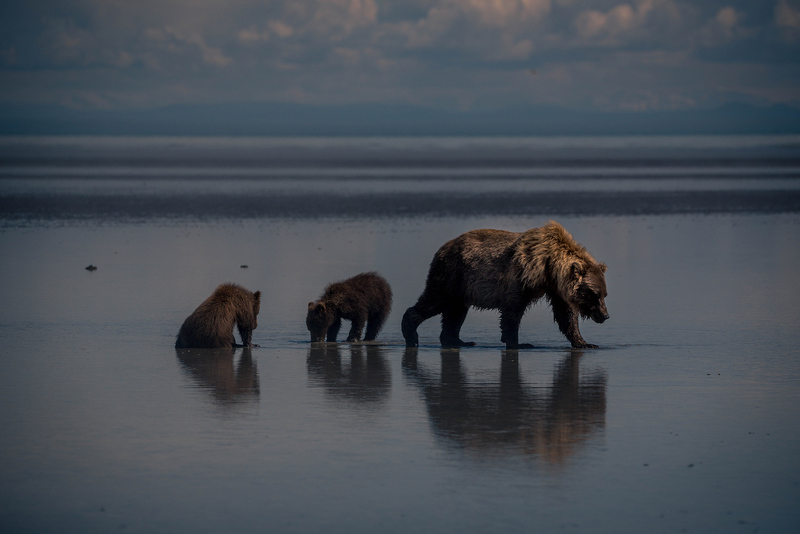 And now to hear of his win in a wildlife photography competition with an image from this trip has made me so proud! Visit http://www.cmphoto.co.nz to learn how you too can experience a photo adventure of a lifetime. A few bags that were carried to Alaska. 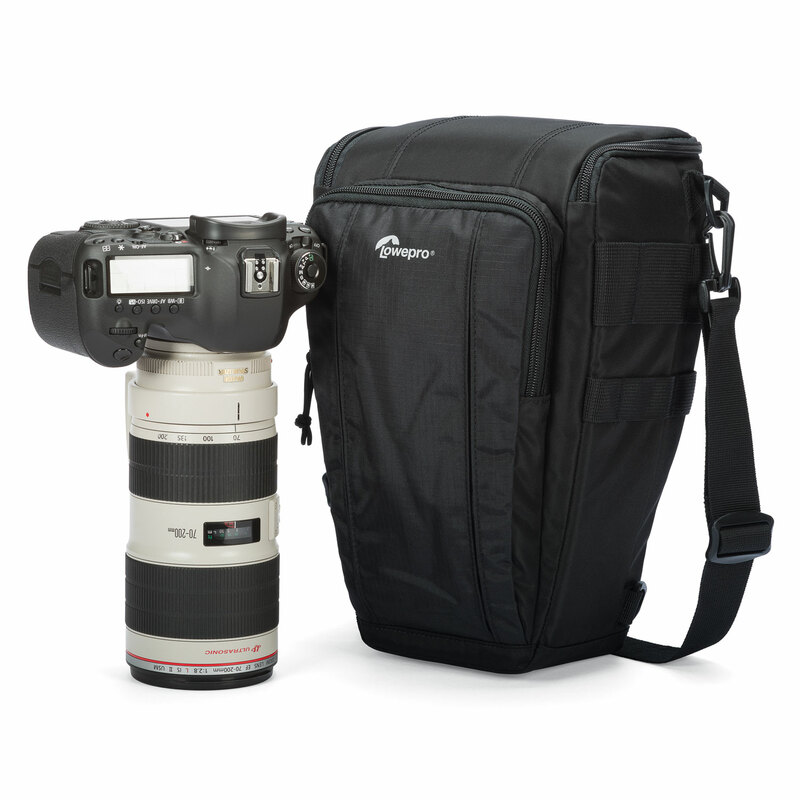 The ultimate big-glass expedition pack, built to provide long-wearing comfort and large capacity for professional photographers. 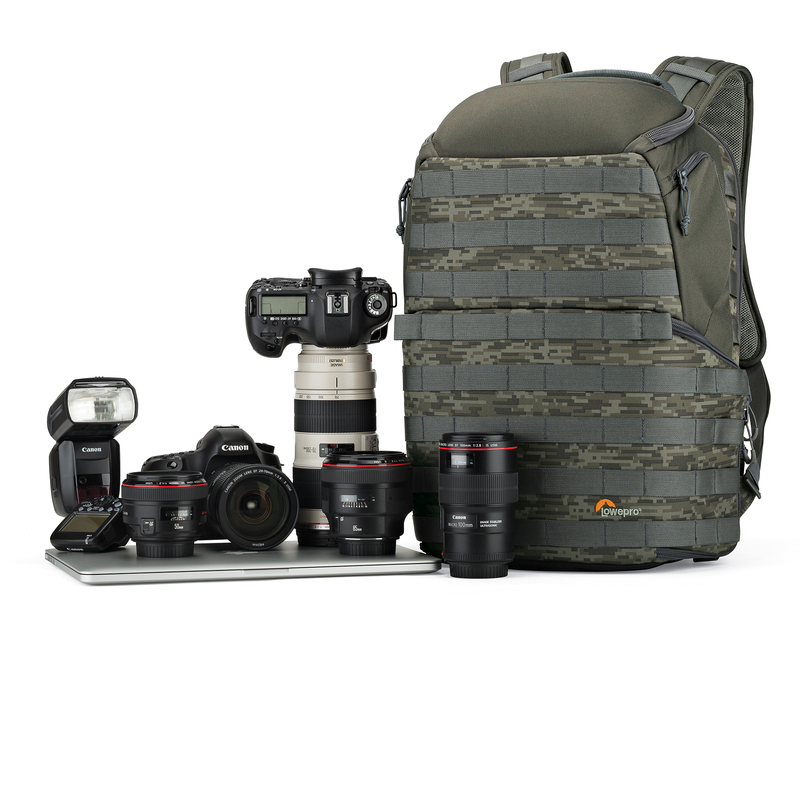 Get solid protection for a day of outdoor, travel or sports shooting.